Have a spooktacular Halloween by supporting Lucile Packard Children’s Hospital Stanford! 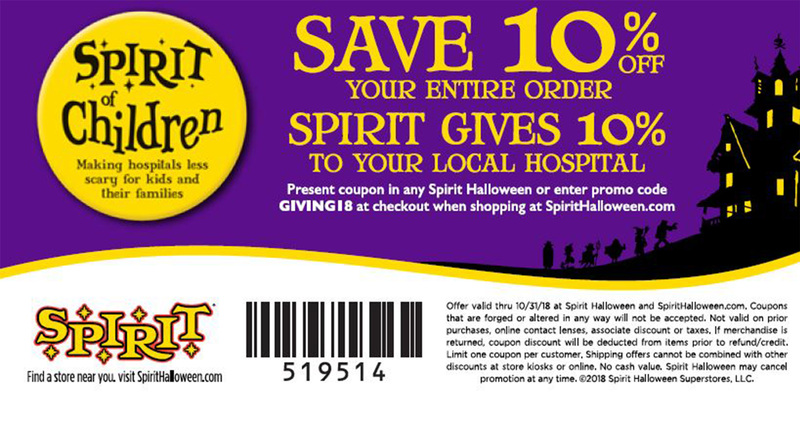 Shop at one of the following Spirit Halloween stores or online (code: GIVING18) through October 31; you'll receive 10 percent off your entire order AND Spirit will give 10 percent back to our Child Life Department. Wishing you and your family a spooktacular Halloween!